Google just told its users to download their Google+ data before April 2nd, when the company will shut down the service. This past October, Google announced it would partially shut down its social media site,Google+ in the wake of a data breach scandal. But, not long after, the network suffered another security compromise, forcing it to expedite its demise. Now, Google has released a formal timeline of what’s to occur over the next few months. Accompanying said timeline is a big yellow banner, which pops-up when people open their Google+ accounts. The alert contains a link to a help page, which details the process. Starting February 4th, Google will prohibit the creation of any new Google+ profiles, pages, communities, and events. 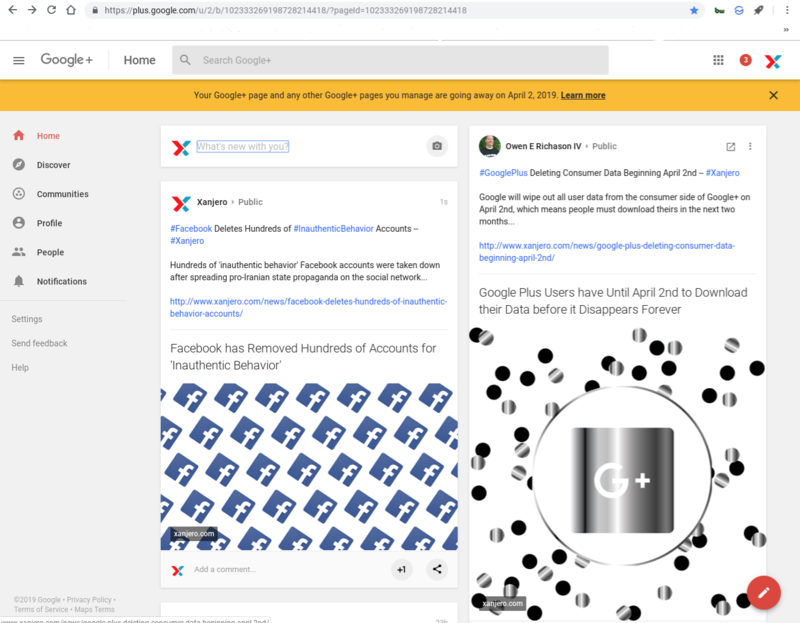 Also, Google+ generated comments appearing on external sites will disappear from Blogger by February 4th and from all other sites by March 7th. Moreover, all website comments made through Google+ will vanish on April 2nd. Additionally, on April 2nd, all Google+ consumer content will disappear (including photos, videos, Album Archives, and Google+ Pages). Furthermore, any sign-ins for websites and apps using Google+ credentials will stop working. However, these will be replaced by a Google account sign-in button. Google+ never caught-on with social media users. It’s struggled for years, trying to attract people. And, a big data breach, followed by a cover-up, and then a second data compromise, finally pushed the search giant to shutter the product.